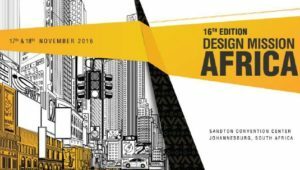 The 16th Edition Design Mission Africa, organized by the IDE took place from the 17th and the 18th November 2016 in Sandton, South Africa. The company Moroso was present at the event as a representative of the network Italia for Contract in order to propose the best solutions in the contract sector. The participation to the event was a major success and the network was appreciated by internationally-renowned architects, buyers and clients from all over the world. Africa, a country that is facing changes and is emerging in the global scene, showed to be very attracted by the products of the company. Design Mission Africa has been created to transform the procurement practices of the continent, enabling companies to achieve increasing value from buyer-supplier relationships by facilitating the dialogue among the key stakeholders of the industry. This initiative brought together key decision-makers in the real estate and construction industries, such as architects, interior designers, buyers, contractors and solution providers with pre-scheduled face-to-face and interactive meetings and structured networking activities. The main objective was therefore to bridge the demand-supply gap in Africa. During the event more than 600 projects were presented and more than 3500 face to face meetings were held between buyers and suppliers. The suppliers represented different product categories of the industry such as those of furniture, bathroom fittings, marbles, tiles and ceramics, roofing and ceiling system, lighting solutions and automation system.